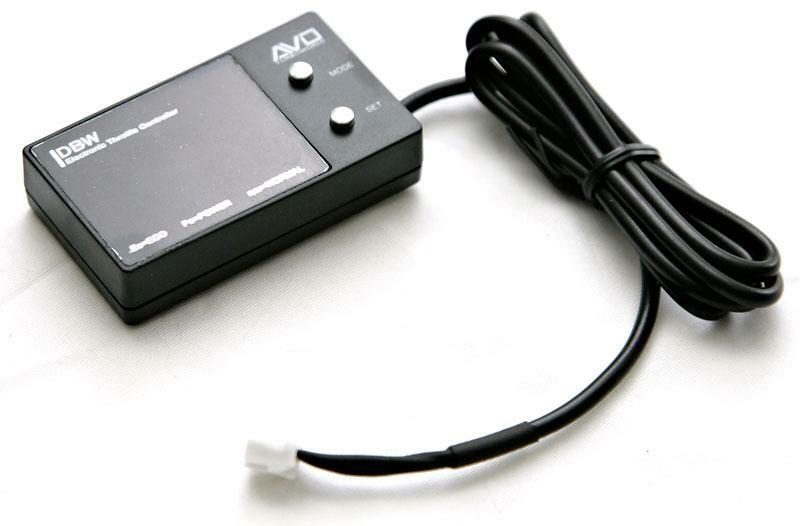 The AVO DBW Throttle Controller allows you to re-map your throttle inputs to the throttle body controller, giving you full control over it’s behaviour. You may have noticed with your DBW car that the position of the gas pedal doesn’t necessarily correspond to the throttle response. This is because the factory settings are a non-linear map that decides what’s optimal for their needs, not yours. The AVO DBW Throttle controller brings back that control over your car. The DBW Controller unit allows you to choose between 3 separate modes of operation: Standard (STD), Power (Po) and Off Road (oF). Po mode has 9 selectable steps with increasingly aggressive throttle mapping. oF mode has 3 selectable steps with increasingly milder throttle mapping. When the throttle pedal is below 30% operation, oF mode provide a far more precise throttle map from 0%-30% throttle opening. However, if the throttle goes above 30%, it will switch over to Standard mode for safety reasons. Std mode is the normal throttle mapping from the factory. Installing the DBW Controller is very easy, and can be accomplished in as little as 10 minutes. However, once the controller is installed, it will need to be programmed for your vehicle’s specific throttle mapping. Once this is done, it will remain in the Central unit’s memory even if removed from the vehicle.